In our Scout Troop, the year leading up to a Jamboree was always known as a ‘Jamboree Year’. 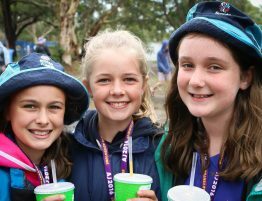 We’d spend time cooking snags at Bunnings, meeting new friends from our Jamboree Troop, sorting through our camping gear to make sure it was in top condition. Our Troop Council planned extra camps to make sure everyone had ten nights, and Patrol Leaders helped younger Scouts to achieve their Pioneer Badge. 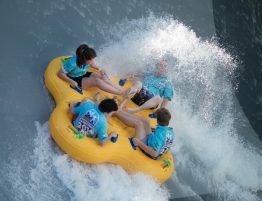 Sure, our Jamboree Year was action-packed, but when we arrived on site at AJ, we were adventure-ready! To help you prepare for AJ2019, we’ve put together ten top tips for Scouts and Leaders alike. Check them out below! Your Jamboree Troop will be your family for AJ2019. 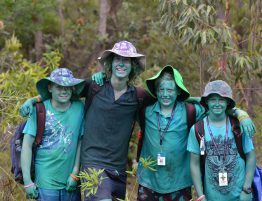 Together with the other 35 Scouts and 5 Leaders, you’ll travel to South Australia, camp, cook and have fun together for 10 days. 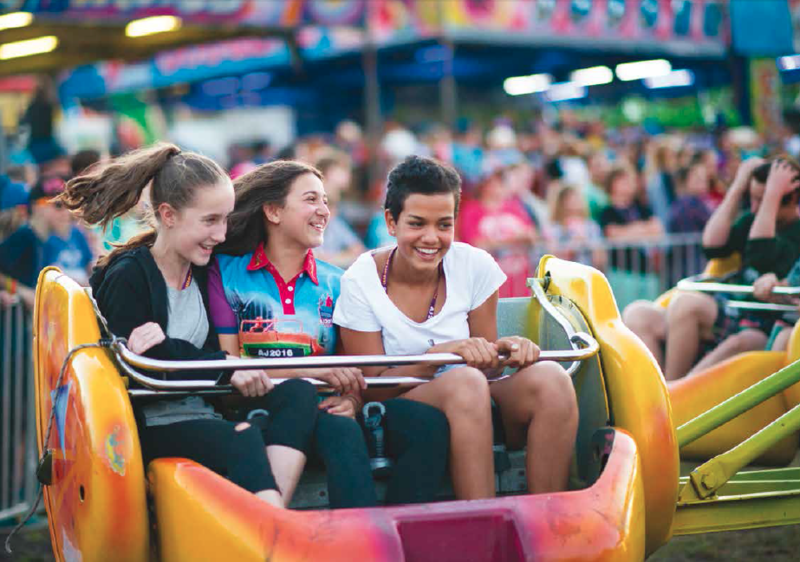 Take time to get to know the Scouts and Leaders in your Jamboree Troop – organise activities together, hold combined weekly meetings, set up a Facebook page, create a Troop booklet with profiles and photos of each member. You could even go camping together! 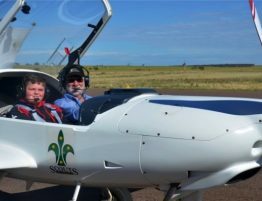 Jamboree is an expensive adventure, so you need to start your fundraising early. 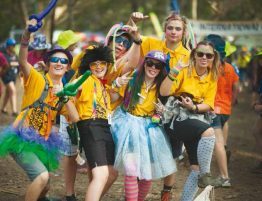 Chances are you’ll find it heaps easier to join forces with your Scout mates headed for AJ2019 – it’s a lot easier to fundraise if you are supporting each other, swapping ideas and keeping each other on track. There is a lot to do in the lead up to AJ2019. If you’re a senior Scout, help the newer Scouts achieve their Pioneer Badge. Don’t forget that your Leaders will be working hard to prepare too – ask them how you can help. Your Troop Council should be involved in planning, doing and reviewing all aspects of your Jamboree preparations. Troop Council can plan activities with other home Troops in your Jamboree Troop, sort through gear, and make sure all the Scouts are fully prepared for Jamboree. If you don’t know what Troop Council is, ask your Scout Leader! The Jamboree is a physically exhausting venture. Dehydration and heat exhaustion will be the most common challenges at AJ2019. You’ll be able to avoid these health issues if you have a good level of personal fitness. • Get involved in a team sport, if you aren’t already! Tried and tested gear is the best. It can take a few camps to get used to your personal gear kit. Make sure you know how to use all your gear before you come to the Pre-Jamboree Camp. Your shoes would be well worn-in. You don’t need top of the range gear for a Jamboree, but you need to know how to use and pack your own stuff. Badge swapping is a big deal at AJ. You’ll want to collect a good set of badges you’re willing to swap before you head to Tailem Bend. 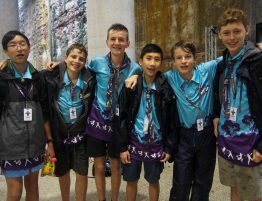 Old group or district badges are a good start – ask your Scout Leader if there are any sitting in the hall that you can take to Jamboree. Making payments on time will ensure you receive your complete set of merchandise on time. It is imperative that your medical details are up to date in the online application system. The Jamboree Medical Centre won’t be able to provide complete healthcare if key information is missing from your application. This includes special dietary requirements, additional needs and medication routines. Follow us on Facebook, read your monthly Contingent Update, and stay in touch with your Jamboree Troop Leader so you have all the latest Jamboree details.